Much debate has been had about what is the best line. 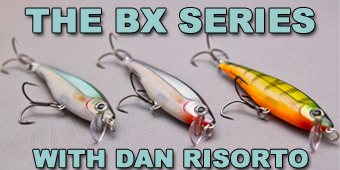 I am not talking about what is better between Fluorocarbon, Braid, Mono or Co-Polymer’s, I believe that a lot of that has to do with your personal preference. 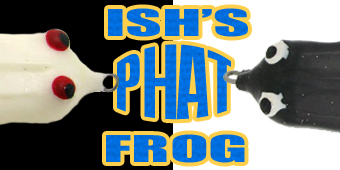 I prefer to flip with straight fluorocarbon, but I know many anglers who use braid, or braid with a fluoro leader. Right now I’m talking more about brand specifics. A lot of different lines offer or claim to offer different features that make your life as an angler easier. The new 8 carrier braids are supposed to be more supple, quite and cast farther, while new fluorocarbon mixes are easier to manage and boast better abrasion resistance. So how does this all add up, and what really makes a line the best? Well when it comes down to it, its all about what you as a consumer are looking to get out of your line. 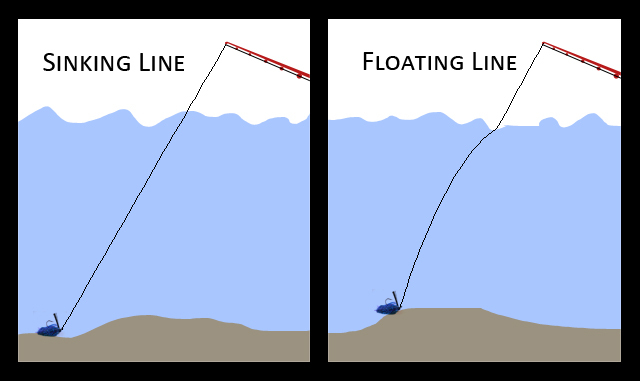 Since I started fishing I have been using many different lines, and in this series “The Right Line” I will talk about what I have learned from my experiences with many different lines. There are no lab tests, just spooling the line onto my reel, tying on a lure and catching fish! I am going to start with Braid. It is one of the most popular lines in use right now, and likely one of the most diverse. I have extensively used braids from Berkley, Suffix and Power Pro. I have tried some of the other braids on the market but not as much as these lines, and although the Stren Sonic braid is nice, and I have yet to try the Seagaur braid or any of the new import braids, the three brands I am talking about are the more popular lines around. I started using braid again on my casting gear over the last 2 years. For the last 5 years I was a loyal Fireline Fused user on my heavier spinning gear, but feel that something has changed with the brand. The line is not as supple as it used to be, and does not stack on the reel in the same manner. Strength is the same, but the line is just to stiff for my preference. Talking about Fireline, I spent a good bit of time using the Braid and found that it is a great line, until it wears. And it wears pretty quickly compared to other brands. 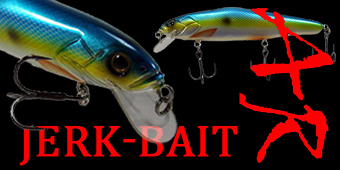 Once this line gets frayed you will have a hard time even trying to cast this line with out loosing your baits. Fitting into a brand new line class NanoFil is more like a braid than any other line so I will talk about it here. Much like the Fireline Braid, it does not handle abrasion well. Good news though, it is much more difficult to get that abrasion and when you do get it, it is pretty noticeable. Aside from that, it is a very flat line and stacks nicely on a smaller spinning reels. It is a very slick line that casts like a dream, cuts through light vegetation beautifully and transmits light bites as well as the next line. Using the Professional Grade and the 832 line was a pleasant experience overall. They both handle abuse well, and aside from colour fade there is not a lot bad can say. They are stiff for high carrier braids but still very manageable on casting reels. The added stiffness definitely makes fishing in heavy cover and punching a lot easier. The 832 has the added bonus of shedding water and a slow sink rate thanks to the added Gore fibre. I like this feature for flipping and pitching because it gives me a more direct line to the bait instead of having the line arc upwards towards the surface. The search for the best all around braid ended for me right where it should have started with one of the most popular and trusted lines on the market. For some reason I always felt like there should have been something better, and although I will continue to use the Suffix 832 for flipping, Power Pro and Power Pr Super Slick 8 will be the braid on all the rest of my reels for the next little while. The original Power Pro is a great line for jerk-bait’s, it is very limp and stacks beautifully on the reel, even when reeling in slack line onto a spinning reel which has always given me a problem. The Super Slick 8 is an 8 carrier line…..hence the 8 in the name. I have mentioned 8 carrier a few times in this blog, and if you are wondering what that means I will explain. Most braid’s are made of 4 filaments spun and usually coated. 8 carrier lines are made with 8 filaments spun and coated. This creates a much rounder, smoother easier casting line. Add Power Pro’s renowned reliability and durability and you have a truly top notch product. Only thing I haven’t used this line for yet is on a sinning reel with a jerk-bait. The line slides as smoothly through vegetation as it does through your guides with almost no sound. It also comes in some very useful colours that will make using it in all sorts of situations easier. 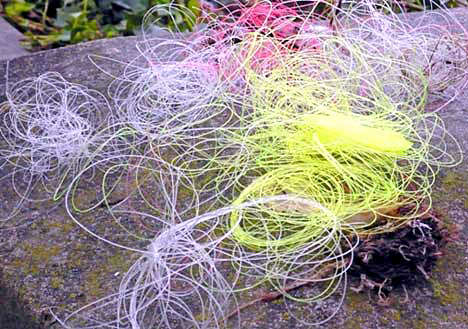 Stay tuned in for a look at Fluorocarbon lines in the next article.